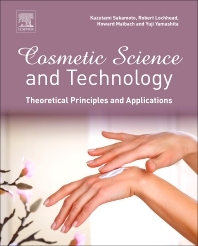 Cosmetic Science and Technology: Theoretical Principles and Applications covers the fundamental aspects of cosmetic science that are necessary to understand material development, formulation, and the dermatological effects that result from the use of these products. The book fulfills this role by offering a comprehensive view of cosmetic science and technology, including environmental and dermatological concerns. As the cosmetics field quickly applies cutting-edge research to high value commercial products that have a large impact in our lives and on the world's economy, this book is an indispensable source of information that is ideal for experienced researchers and scientists, as well as non-scientists who want to learn more about this topic on an introductory level. 4.11. Why Do You Need It? 8.3. What Is an Intellectual Property Right? 50.3. How Should We Consider the Safety of Cosmetics and Their Ingredients? 50.4. To What Extent We Should Assure the Safety of Cosmetics? Kazutami Sakamoto is a professor of Faculty of Pharmacy at Chiba Institute of Science since April, 2010. He is also an adjunct professor of Dept. of Pure & Applied Chemistry, Faculty of Science & Technology, at Tokyo University of Science. He has graduated the master program of Applied Chemistry, School of Engineering at Tohoku University in 1971 after finishing undergraduate program at the same university. He has received the diploma of Ph. D. from Faculty of Science at Tohoku University in 1980. In 1971 he has joined the Central Research Laboratories of Ajinomoto Co., Inc as a research chemist and spent most of his professional carrier with the company till 2003. During his time with Ajinomoto, Dr. Sakamoto has long been engaged in the development of the Ajinomoto's functional chemical products especially cosmetic ingredients. He also has conducted many basic researches in the area of colloid and interfacial chemistry and skin science. In 2003 he has retired from Ajinomoto and joined to Shiseido Research Center as a Resident Special Technical Advisor and spent three years to consult creation and promotion of Shiseido's new R&D projects. After then he has worked for Seiwa kasei Co. LTD. as a director of R&D. Along with industrial carrier, Dr. Sakamoto has been active in research and educations at Universities as Yokohama National University, Shinsyu University then Tokyo University of Science as an adjunct professor. After retiring from industry in 2008, he has been expanding academic activities. Dr. Sakamoto has elucidated extensive research on the physicochemical properties of aminoacid based chiral molecules especially at their self assembled conditions since late 1970s. His explorations of chiral self assemblies including micelles, lyotropic liquid crystals are one of the pioneering studies in 1970s. Discovery of lyotropic cholesteric liquid crystal formed by acylamino acid as a chiral surfactant is a good example of them. Never ending his curiosity on the structure and functions of chiral assembly led him to create chiral mesoporous silica as a solid matter which was templated from chiral lyotropic liquid crystal formed by acylamino acid as a soft matter. His study “Self Organization of Amino Acid Based Chiral Surfactants: Evaluation of Organized Structures and Interactions with Biological System” was awarded by Japan Oils Chemists' Society in 2005. He has been actively participating many international conferences as an invited speaker during recent 10 years. Dr. Sakamoto was a Chairman of Division of Colloid and Surface Chemistry at The Chemical Society of Japan for 2007-2008. Dr Lochhead's industrial career spanned 25 years- 4 years with the Nobel Division of I.C.I , 10 years with Unilever Research and 11 years with the Specialty Polymer and Chemicals Division of BFGoodrich. After this career as an industrial scientist and research manager, Dr Lochhead joined the University of Southern Mississippi as an Associate Professor in 1990. He has chaired the Department of Polymer Science since 1993 and raised it to School status. The department has been ranked third in the nation for Polymers and it is ranked 5th in the USA for Engineering (various) and 18th in the Nation for Engineering. More than $2billion in capital has been invested in the Mississippi Polymer Industry, creating 42 new companies and 10,000 new jobs. Dr. Lochhead serves as Principal Investigator of the NSF funded 'Multinational Partnership to Incite Innovation', Director of The Institute for Formulation Science and the National Formulation Science Laboratory, and Director of the School of Polymers and High Performance Materials at the University of Southern Mississippi. The National Formulation Science Laboratory is located on a 523 acre site in Hattiesburg, Mississippi. Dr. Lochhead is the author of about 300 scientific papers and 18 Patents, some for polymers that are used extensively in our industry. Since 1995, his students have won 9 best paper awards at National Meetings. Bob Lochhead served as President of the Society of Cosmetic Chemists 1994 and he currently serves again in that capacity. He was President of the International Association of Formulation Chemists in 2000. He was the 2000 recipient of the Maison G. De Navarre Medal; the highest honor in the Arts and Sciences of Cosmetics, and also the SCC National Merit Award, 2006. Lochhead also serves on the INCI committee. Accelerating Innovation for formulated products that depend upon fundamentals of polymer science and surface/colloid science. The work is supported by NSF and a number of well known global companies. Dr. Howard Maibach is an expert in contact and occupational dermatitis and sees patient at the Environmental Dermatosis Clinic, which is part of the Dermatology Clinic. His specialty is dermatotoxicology, or skin exposure toxicity; allergies and skin disorders; and dermatopharmacology or the study of medications for skin disorders. Maibach has been on the editorial board of more than 30 scientific journals and is a member of 19 professional societies including the American Academy of Dermatology, San Francisco Dermatological Society and the Internal Commission on Occupation Health. He is a professor in the Department of Dermatology at UCSF. To make an appointment with Maibach, patients need a referral from a primary care doctor or dermatologist. Dr. Howard Maibach has written and lectured extensively on dermatotoxicology (the toxicity to man from skin exposure) and dermatopharmacology (the treatment of skin diseases). His current research programs include defining the chemical-biologic faces of irritant dermatitis and the study of percutaneous penetration. When Dr. Maibach is not in the lab conducting research or in the classroom teaching, he is seeing patients at the Environmental Dermatoses Clinic (of the Dermatology Clinic), mostly providing second opinions on allergic contact dermatitis. Dr. Maibach has been on the editorial boards of over 30 scientific journals and is a member of 19 professional societies including the American Academy of Dermatology, San Francisco Dermatological Society, and the International Commission on Occupational Health.